Changes made to its website show reserves could now include loan affiliates, receivables from loans and others. Tether, a stablecoin with a market cap of over US$2.05 billion, admitted on Thursday (March 14) that its reserves are not 100 percent held in US dollars. As its slogan states that 1 Tether is backed by 1 US dollar, this could carry significant implications for the fiat currency founded on the assurance of being pegged to these reserves. Without any official audit release since Tether’s beginning, the company continues to sidestep the release of any transparent financial details, Forbes reported on March 14. In fact, this marks the third time that the company has creatively released financial data that it acknowledges is not from professional audits. In addition, Tether’s language has changed from a claim that its reserves are subject to professional audits, to a claim that they are subject to professional verifications. As suspicions on the content of Tether’s balance sheet grew, Bloomberg reported in December that Tether had evidence showing that its reserves matched its coin distribution for the month of July 2018. Bloomberg reported that it had seen select bank statements that suggested cash reserves were present. Earlier in 2018, the US Commodity Futures Trading Commission investigated Tether’s cash reserve supply, issuing a subpoena for further information. Unsurprisingly, analysts are cautious about Tether’s reserves. “They’re saying they can break that out into whatever they want. 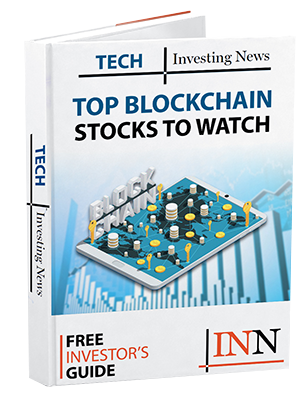 They could have a receivable on their book that owes them some money from another exchange and count that as an asset against their own Tether,” Kara Haas, a CPA cryptocurrency and blockchain expert said, according to MarketWatch. In data reported by Blockspur, a blockchain data analysis firm, over 30 percent of Bitcoin transactions on exchanges are estimated to involve Tether. In 2017, when Bitcoin’s price surged to US$20,000, Tether’s market value grew from US$10 million at the beginning of the year to a valuation of US$1.3 billion at year end. The management team at Tether does not appear to be listed on Bloomberg, although Tether’s website lists JL Van Der Velde as its CEO. Velde is also the CEO of Bitfinex, a cryptocurrency exchange that shares other management and investors with Tether. The two companies also share a history of losing banking relationships, such as Wells Fargo and Tawianese lenders in 2017 and Puerto Rico’s Noble Bank in early 2018. Since October 2018, Tether’s current banking partner is Deltec Bank & Trust, which is based in the Bahamas. According to a report by Coindesk on Tuesday (March 19), Bitcoin is close to falling under US$50 billion in market capitalization; it previously fell under US$50 billion in August 2018. The dominance rate of the cryptocurrency has edged near the 50-percent line of the total market capitalization, with altcoins gaining market share since 2017. Since these revisions were made on the company’s website, the price of Tether has remained close to US$1, or even slightly more. Market capitalization since March 14 has ranged between US$2.019 billion and US$2.023 billion, according to CoinMarketCap. Tags: bitcoin, bitfinex, blockchain, crypto exchange, financial report, tether.